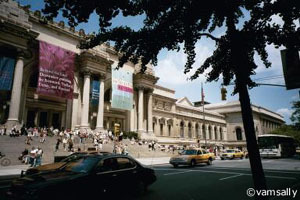 My trip to New York City was a rushed weekend deal, but it was definitely unforgettable trip. I knew I belonged there...I felt completely at home. It was little after 7 am when I arrived at Central park. I saw the end of the sunrise at the bench underneath the tall shady trees of the Central Park. 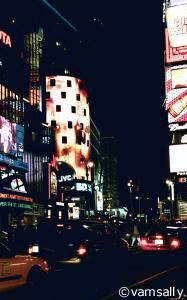 I was actually crazy enough walk around at night. Strangely I felt no fear. 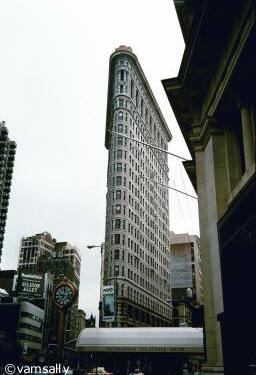 One of the queerest and the most interesting building I saw on the way to the Greenwich village. We walked to the little Italy, had one of those heavenly dessert creations. Then to the Greenwich for some funky little cafe and coffee shops. 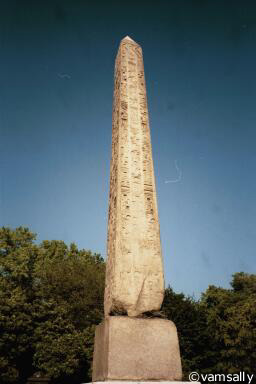 The Obelisk from Alexandria...was strange to behold in the middle of the Central Park. We had a quick breakfast as a quaint little coffee shop near the museum. Just as we finished our breakfast, the museum opened and the lines and lines of people standing in front started to go in. 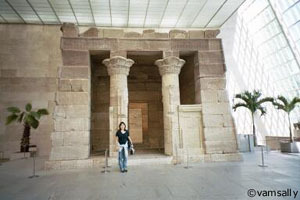 A temple that was brought piece by piece from Egypt. It was saved from the flood. 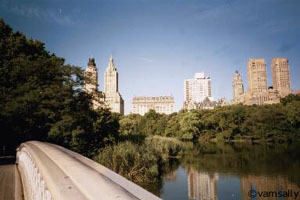 From the Central Park to the China town and back. On the way, we found some wonderful coffee shops. 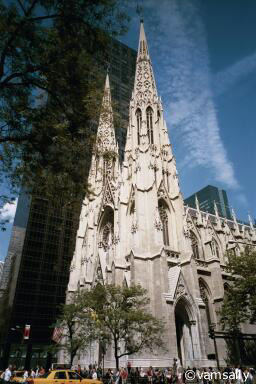 Beautiful St. Patrick's Cathedral in the middle of the tall buildings. I had to go in, take a seat and just feel the quiet atmosphere. By Contrast, the other cathedral we encountered was Greek Orthodox church.